DIS: Hi Brendan, thanks for meeting with us! Tell us about your Homestay – who are they and what makes them special to you? Brendan T.: Currently, my Homestay consists of five people, including me, and two dogs. We live in a single-family home in Store Valby. My host dad, Per, is an IT Manager for Toms and he travels a few times a month for work. He is very outgoing and loves to crack jokes with me. Upon arriving, we quickly bonded over football by watching many games and supporting Brøndby. My host mom, Helle, is a social worker and works with children at a local school. My host mom and I will connect over the smallest of things from watching TV to preparing dinner. My host parents love to cycle and mountain bike in their free time on the weekends. They also enjoy opening a bottle of wine over a good conversation at dinner a few nights of the week. In total, I have three host siblings named Christine (18), Cecilie, (24), and Andre (24). Unfortunately, I have not been able to meet Andre because he is studying in Singapore for the semester. Also, I was only able to spend a month with Cecilie because she left for Bali to be a dive master. Cecilie was a bartender at a local bar in Roskilde, so during the weekends, I would visit her at work to grab a drink and talk. Christine is in her last year at gymnasium and she spends a lot of her free time with friends. In addition to my host siblings, I live with another DIS student named Greg. I became close with Greg because we were both adjusting to our new surroundings and we have similar interests. On weekends, we go out together with some friends, but we still are very independent of each other. There are many occasions when I will only see Greg at home during the weeknights because we are doing separate things. My host family is special to me because they are how I will remember my time in Denmark. A large part of my experience abroad has been centered around them. I have shared unique connections with each family member. I have had the chance to watch football with my host dad, joke with my host mom, hang around my host sisters and their friends, and travel to Croatia with Greg. The introductory email from my host mom was the first indication that I would have a special bond with my host family because all of the details matched exactly what I was looking for in a Homestay. BT: I wanted to experience the everyday life of a Danish family. I really wanted to integrate myself into the culture and meet people who I couldn’t in America. I thought a Homestay was the best option to do so because I wouldn’t be living with a bunch of American students. I didn’t want to bring Elon to Denmark because I felt these four months were an amazing opportunity to experience something completely different. Also, I really wanted to create lifelong relationships with some Danes and have a place I could call home after the semester ended. Another reason I chose to live in a Homestay was to have a strong support network. One of my worries of going abroad was the transition period in the beginning. I wanted to surround myself with natives who knew the insider tips regarding public transportation, places to see, and the Danish culture. 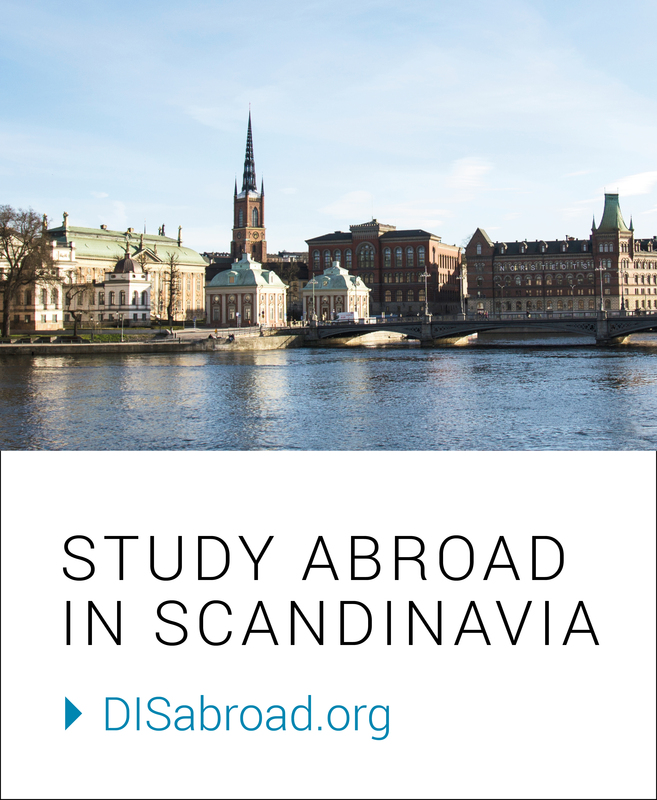 If I had any questions about how to get around Denmark, my Homestay would always have the answers which made my transition abroad low stress. My host family provided stability because they had prior DIS students before, so they knew what I was experiencing and how to make sure I was comfortable as soon as possible. DIS: What are your favorite day-to-day experiences you share with your host family members? BT: My favorite day-to-day experiences are eating dinner and watching TV with my host family. I love coming home from school to a relaxing dinner with my host family. During dinner, we can catch up on our day and take time to enjoy a home-cooked meal. After dinner, my host parents and sister will watch TV. Even though most of the shows are in Danish and I can’t understand them, I still love trying to figure out what’s going on by just watching. For some comedy shows, I ask my host family to translate the funny parts so I can laugh along. Overall, I love being around my host family as much as possible while at home because I know the experience only lasts for a limited time, so I try to take full advantage of getting to know them better. DIS: What is the experience like of living with Danish host parents in regards to independence? Things like going out at night and on the weekends as well as traveling. BT: My host parents allow me to have full independence during the weeknights and weekends. From day one, my DIS host brother and I were told that there were no planned family weekend adventures or commitments. They believe that we should have the freedom to do what we want while abroad. The one rule we have is to tell our host parents if we are unable to make dinner that night and if we will not be around. At first, I was a bit disappointed there were no planned family trips because I thought that was a way I could bond with my host family. However, within the first couple of weeks, I realized that having my independence is awesome because I can make plans with friends without having to work around my host family’s schedule. Even though I am free to explore Copenhagen and Europe, I still make time to be around my host family during the weeknights and weekends because they are allowing me to live there and I enjoy being with them. DIS: Tell us what the commuting experience is like? BT: My daily commute to DIS takes about 50 minutes each way. From Store Valby, I catch a bus at the end of our development. Normally, I’m on the bus for about 20 minutes until I reach Roskilde Station. From Roskilde, I take a regional train into Copenhagen Central Station or Nørreport which takes about 30 minutes. Even though I am almost an hour outside of Copenhagen, I wouldn’t trade my commute to live in the city. I use my commuting time to listen to music, relax, and catch sights of the Danish countryside. There are some days when I look forward to my commute because I can get a quick nap, so I’m refreshed when I arrive home for dinner with my host family. I do run into some problems with my commute such as the timing of the buses at night and on the weekends, but there are ways to work around them. BT: I have had the opportunity to learn more about social life in Denmark from my host sisters. One night, I went to a bar with my host sisters and their friends and I got to socialize with a bunch of Danes. It was an awesome experience because I achieved my goal of trying to immerse myself in the culture and meet as many Danes as possible. From that night on, I have spent more time with my host sister and her friends because I find it to be something unique that other DIS students can’t experience. Living in a Homestay makes it easier to break that foreigner barrier and create special memories with other Danes. DIS: What is an example of the cultural insight you have gained? BT: I have found relaxing family dinners to be such a common theme within my Homestay. Within the first couple of dinners, I realized that dinner time was not to be rushed in Danish culture. With my family back at home, family dinners were always an important element for us. The problem was that dinners tended to be brief because we had other events going on. However, on-the-go dinners are not prevalent in Danish culture. Normally, my host family and I will spend about an hour eating and talking at the dinner table. The dinner table will be lit with candles and there will be music playing in the background. Especially on cold and dark days, the setting will be quite hyggelig and that is something different from American culture. We use this time to enjoy life and to forget about the daily problems. DIS: What would you recommend to a future student considering choosing a Homestay, about breaking the ice with their hosts? BT: I would highly recommend spending some extra time in the beginning with your hosts. During my first week in Denmark, I went to a football match and a concert with my host family. From these events, I was able to find out more information about my Homestay. Also, I shared some experiences and memories with them that we could always bond over. If you are never around the house in the beginning, then there can come a time when the ice is still not broken, which can make it challenging for both sides. Additionally, I would recommend sharing a few bits and pieces of your daily experiences with your hosts. This way your hosts can figure out more about you and they are easy conversation starters that can help break the ice. My host mom is always happy to hear about my adventures because she can always joke with me if I did something humiliating.